You need to have your septic tank pumped and cleaned by a professional every one to three years. 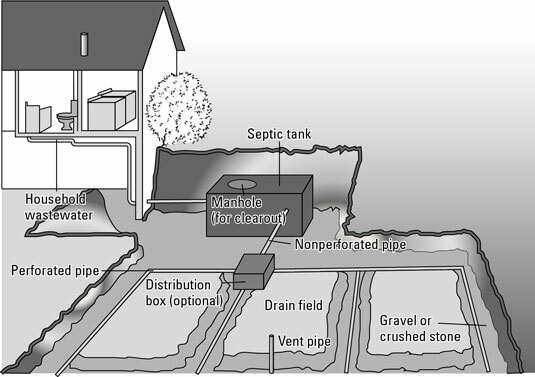 A septic tank in a northern climate will need to have the solids removed more often than a tank farther south. (This geographic variance is primarily because cooler temperatures inhibit bacterial action and provide less decomposition of the sewage solids.) How often you need to have your septic tank pumped also depends on the size of the tank, the volume of wastewater, and how many solids go into it. Constant foul odor, slow drains, and drains that back up are all telltale signs that your septic tank needs pumping. When in doubt, call in a septic pro.